Kevin helps people and businesses look good. 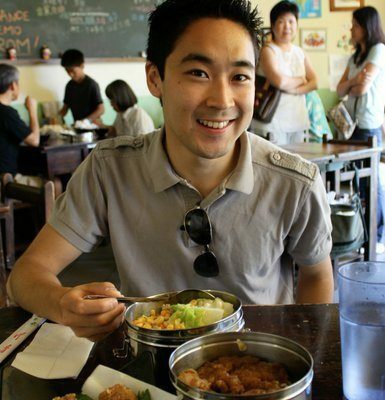 In his free time he enjoys hanging out with friends, developing board games, cooking, and exploring new places. He can talk on and on about boba, making, and geeky things. Okay, enough of this third-person writing. If you’ve found this site, I’m guessing you’ve checked out my main site, kevinhamano.com. If not, please feel free to drop by to learn even more about me. I also blog on Ignite Wonder Games where I talk about explorations in tabletop game development. As for this blog, I always get questions about recommendations and thoughts about different experiences. I created this blog in a quest to better document my travels for others to learn from. Hope you enjoy the ride! Don’t be shy about asking questions or sharing your own experiences. Looking forward to adventuring with you. PS: If you need help with marketing, web, or mobile development let me know. Would love to help guide you in the right direction.